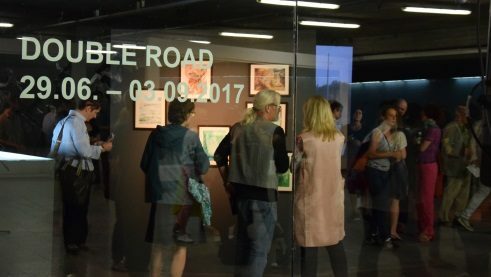 During their stay in the Bavarian state capital, six Indian artists from the Double Road exchange project ask about similarities and differences between Bangalore and Munich. It is all about political co-determination and urban resources. Their works can now be viewed at three places in Munich. The sound of running water can be heard in the middle of the cool exhibition space in the MaximiliansForum. 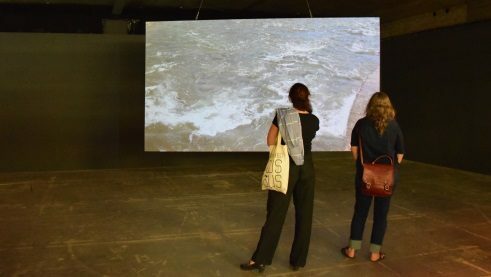 The rapidly flowing waves of a river, the Isar, appear on a screen. 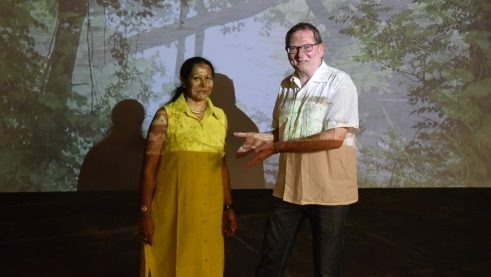 The video projection is by the Indian painter and filmmaker Bhavani G S. In her eight-minute film River of My City & Isar, she compares the waterway through Munich with the Vrishabavathi of her home region, which supplies drinking water to Bangalore. Growing industry has polluted the Vrishabavathi, but it still has spiritual and religious meaning for many people of India. Bhavani G S is one of six Indian artists from the unique artist exchange project Double Road. For six weeks, she was a guest in the Bavarian state capital, where she worked and got to know the local art and cultural scene. Her works – sculptures, installations and paintings – have been on show since June not just at the MaximiliansForum, but also at the whiteBOX art gallery and the Kunstpavillon im Alten Botanischen Garten. Unlike a traditional artist residency, Double Road is particularly focused on artistic exchange and mutual contacts. “The artists that we invite are not working for themselves alone, but closely with their hosts,” explains Homann. Double Road is a pilot project. But it will not be the only art exchange between Bangalore and Munich. “The project is designed for the long term and thus to be repeated. All that matters is that we open our studios and provide our work to enable mutual processes and collaborations,” says Homann.